When my Grandmother was a young woman, she plucked her eyebrows clean off in order to draw them back in. With a clean swath of skin, she drew them on thinner and sharper, as was the style at the time. But they never grew back. 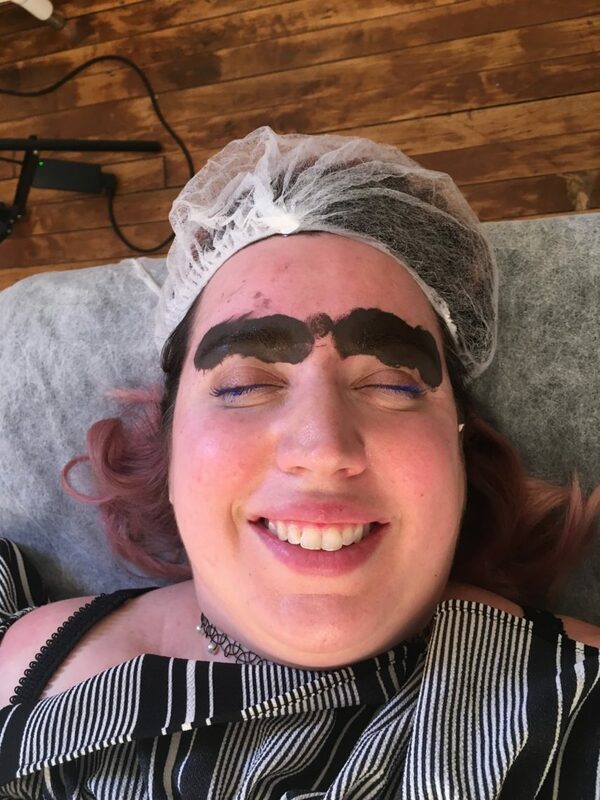 Not a single solitary hair sprouted across her brow, forcing her to draw them in for the rest of her 96 years. 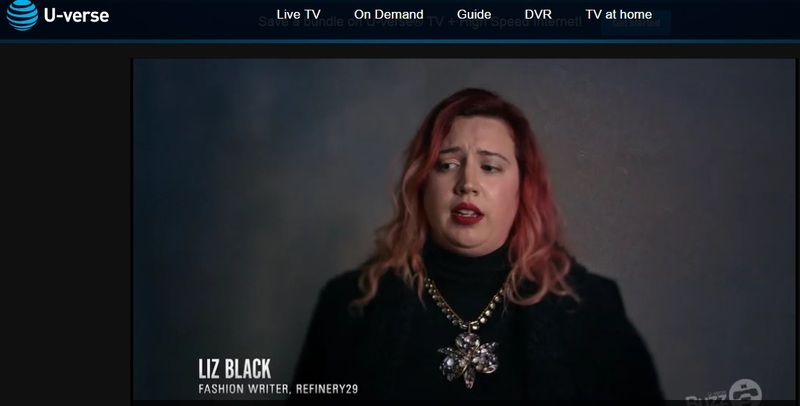 When her mind went, so did her brow skills, and she’d wander out of her room with blue-hued brows, appearing angry and confused, thanks to the random magic marker she had squirreled away in her cosmetics. 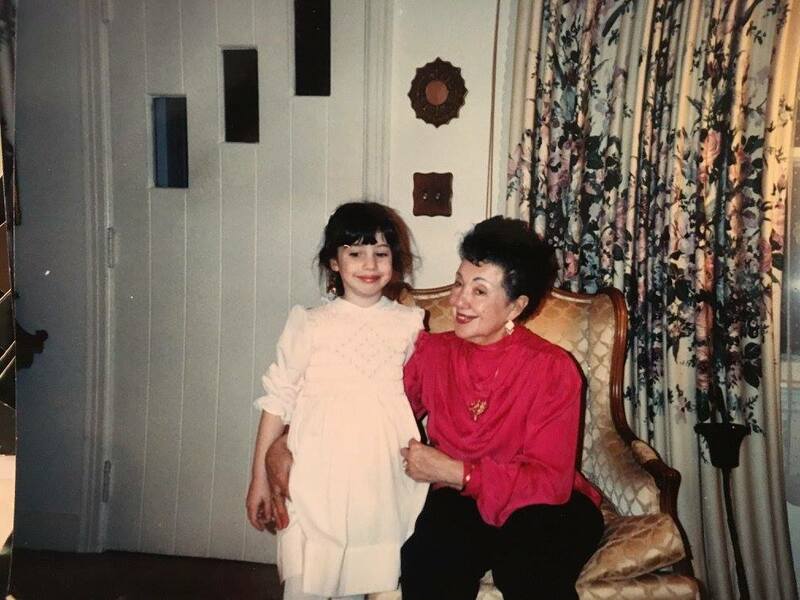 When her dementia got too severe and we had to put her in an assisted living home, her browless visage seemed so much more empty, devoid of emotion—a blank slate. 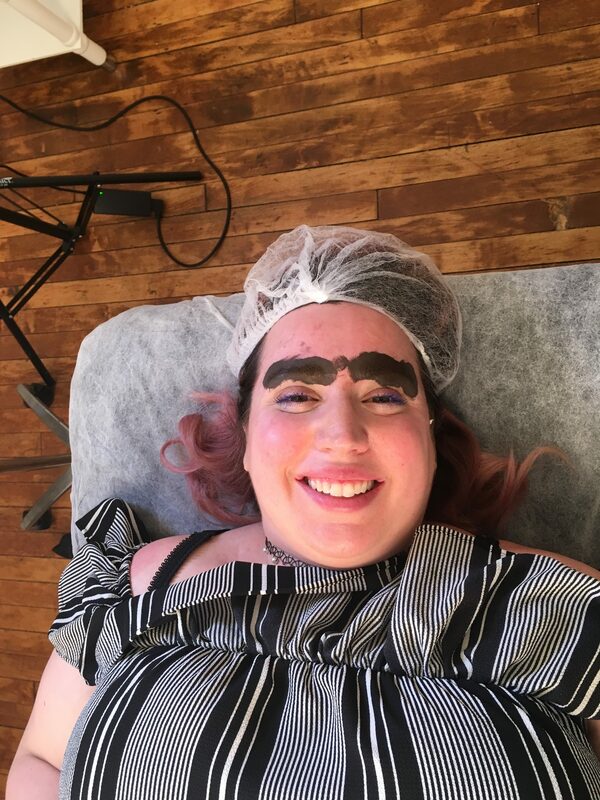 When thin brows became the rage in high school, my mother reminded me of my Grandmother’s facial folly, warning me that I may possess the same genes that would leave me like a Sphynx cat—but only between my eyelashes and scalp. As my friends plucked their brows to the thinness of dental floss, I ignored mine, allowing them to sprout like an overgrown yard of an abandoned house. They thankfully, at least, remained separate from each other, resting as individual caterpillars above my eyes. In more recent years I’ve tweezed, waxed, and threaded them into submission, always keeping the memory of my Grandmother’s blue brows in the back of my mind, preventing myself from doing anything more drastic than simple cleanup. I got two facial tattoos. 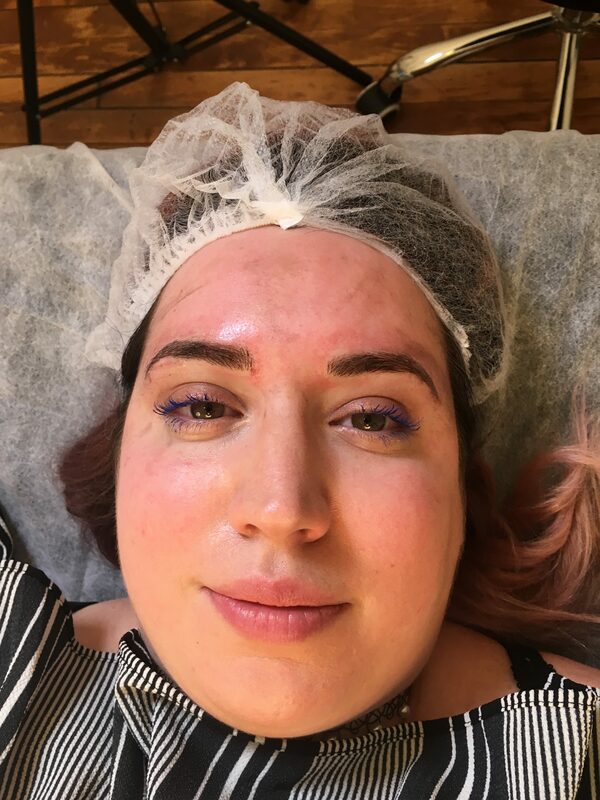 Okay, so maybe they’re not technically tattoos (although they kinda sorta are)…I got my brows microbladed. 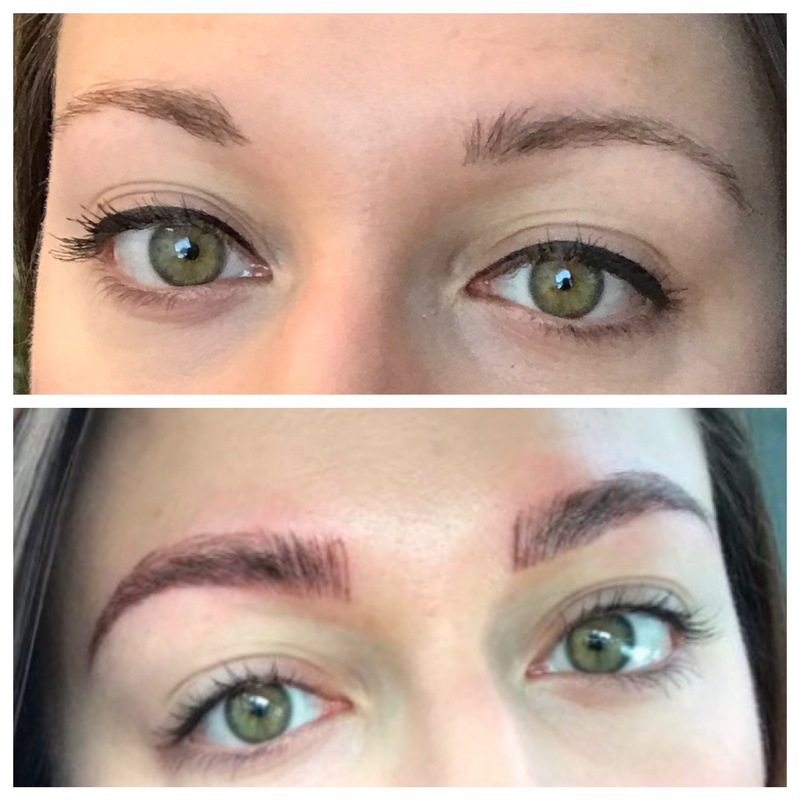 After seeing the phenomenal result microblading had on my best friend Ally’s brows, transforming her early 2000s comma-esq brows into thick sculpted success, I was sold. 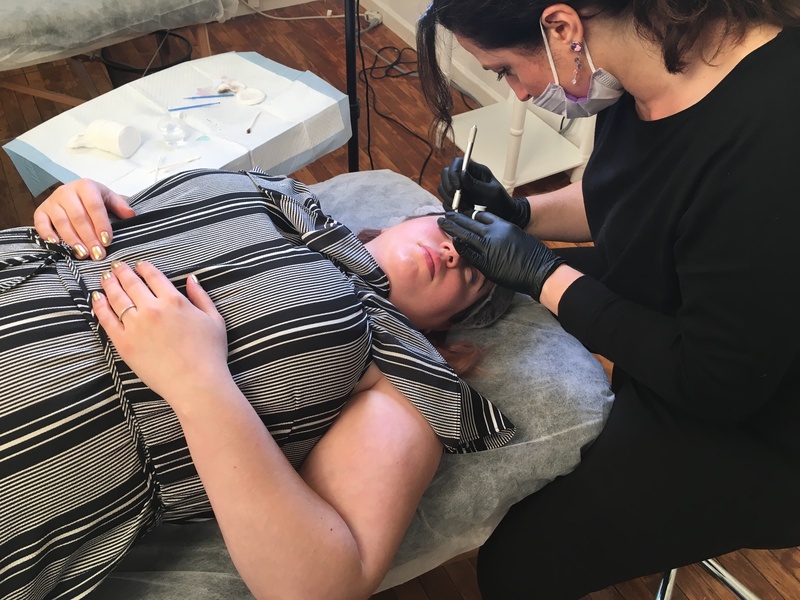 So when I was offered a complimentary microblading treatment by Brow Design International so soon after deciding to do it, I felt like it was facial fortune. 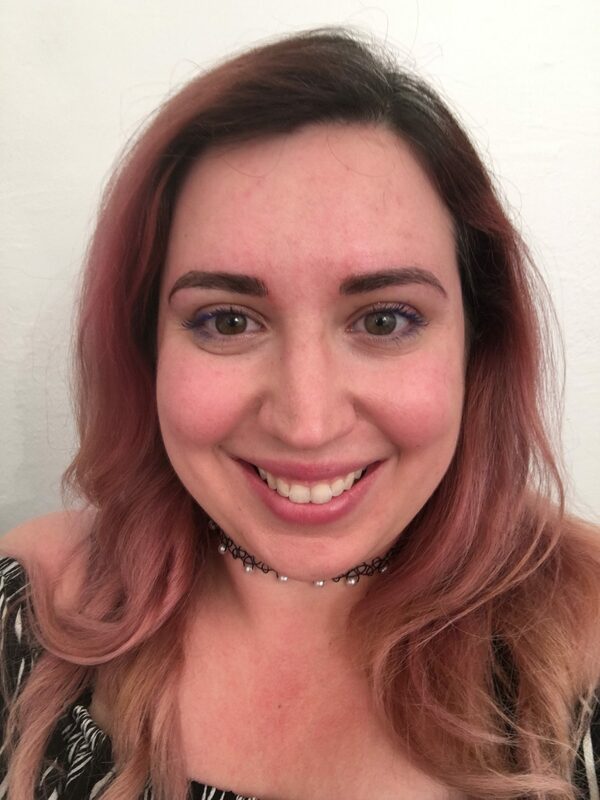 My brows weren’t bad per se, they just were patchy, uneven, and lacking any real definition. 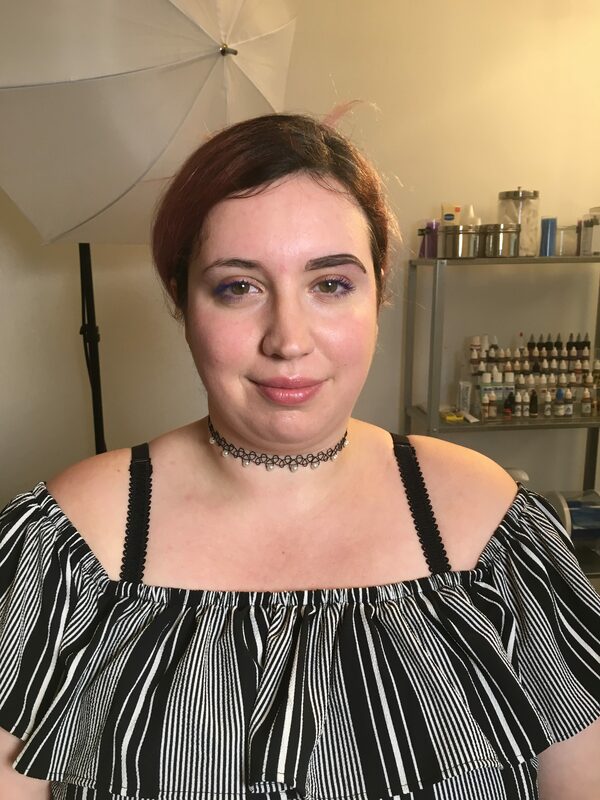 I longed for a higher, more-defined arch, and a thicker, stronger overall brow. 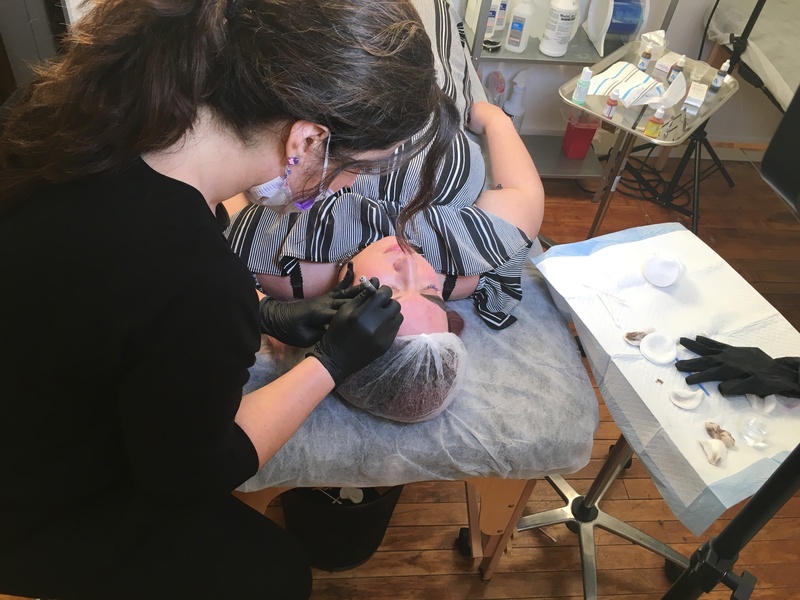 I met with Julia Anne Milin, owner and founder of Brow Design International, and we discussed what my dream brows looked like (I came prepared with a Pinterest board of brows! 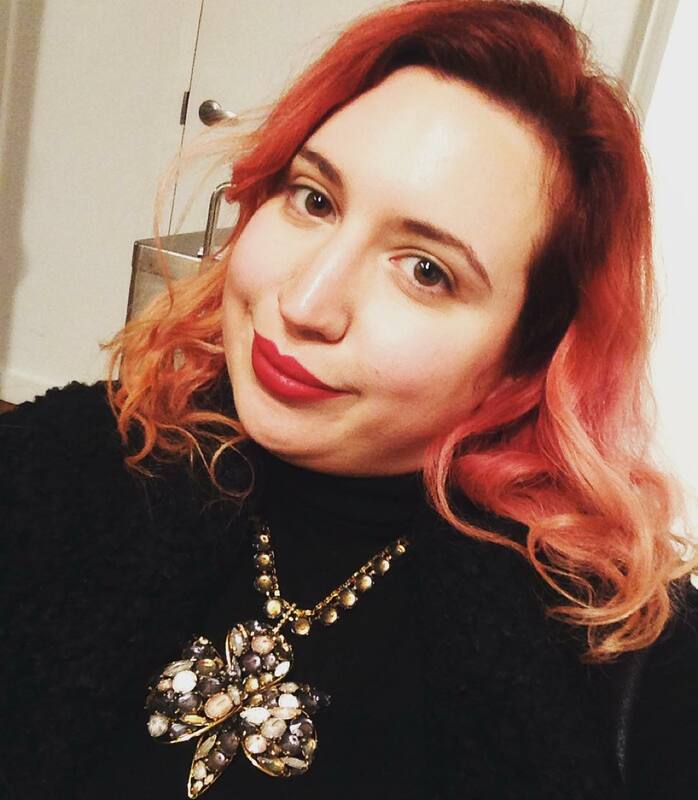 ), and, most importantly, what could realistically be done with my bone structure, existing brows, etc. 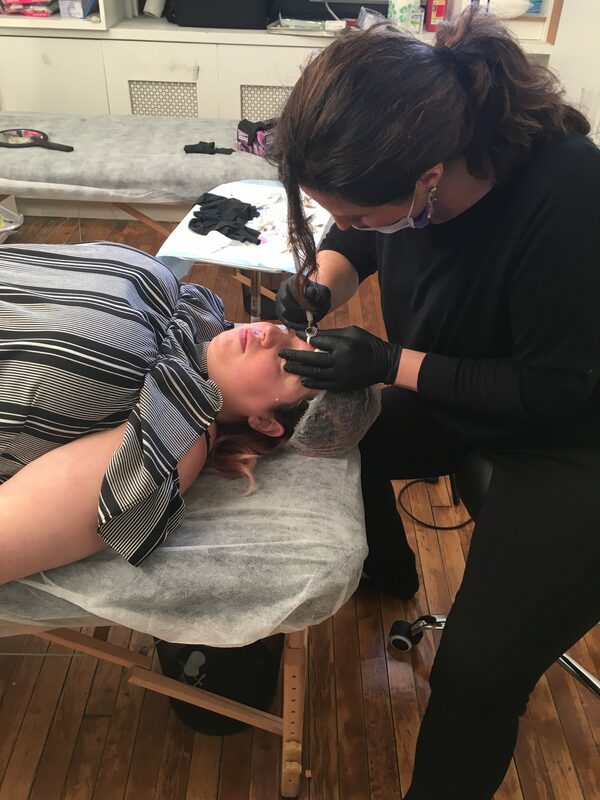 After assuaging my fears of getting two facial tattoos, she painstakingly sketched out the frame of my new brows, moving around my face like a ninja, checking every angle to make sure they were even. 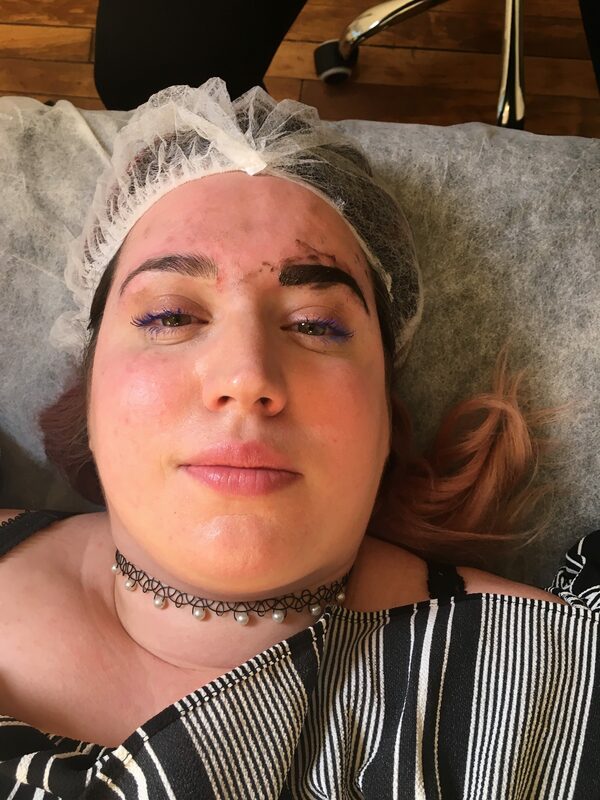 Once she felt confident about the shape and placement and I confirmed my approval, I laid down and the microblading began. 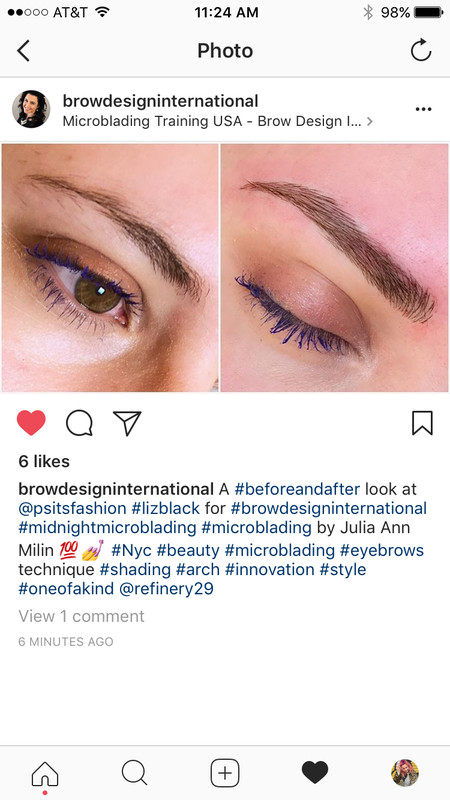 Although it’s called “microblading,” that’s a bit of a misnomer, as the tool she uses is a cluster of tiny needles, and not one small blade (as I originally assumed). She told me that she was going to do the first pass without any numbing cream, and I felt a little worried. Although I’m the proud owner of 7 tattoos (which don’t get numbing cream either), I was concerned that with this being on facial skin it would somehow hurt more. So you can imagine my surprise when it felt no worse than being tweezed or threaded. She dipped and scratched and scratched and dipped, pausing to swipe big ol’ Groucho Marx swaths of pigment over my newly carved brows. After repeating the process and letting it sit, it became time for the big reveal. Not gonna lie, having perfectly sculpted brows has improved my life. I no longer have to painstakingly fill them in, only to realize hours later that they look not like sisters, but like two very distant second cousins. Even without a stitch of makeup on I look put together, and a slap of BB cream and lip gloss makes me look “done” now. 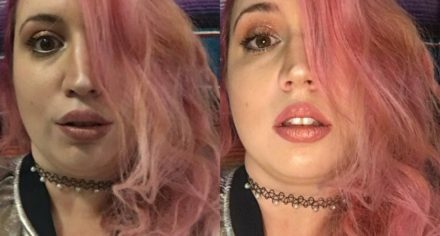 As you can see in the before & after, it’s actually a huge difference! While I didn’t bemoan my previous brows, I’m now in love with my eyebrows 2.0!